Drug addiction in the UK has been on the rise in the last decade. Reasons as to why most people in the UK choose to fall victim to this harmful habit vary. For example, it can go from curiosity to methods to numb their pain. Some see drugs as a way to escape their reality and indulge in their “magic” properties. The number one illegal drug in the UK is Marijuana, while other popular drugs include Ecstasy, Cocaine, LSD, and Mephedrone. Over 15 million Britons have taken illegal drugs in their lifetime. Most of them are men, while the number of adult women also keeps increasing. 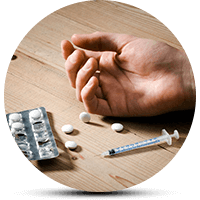 Approximately 40 % of the UK population between 16 and 24, plus 35 and 44 have drug addiction problems. On a regional scale, drug usage peaks in Scotland, where 35% have fallen prey to this habit. Even though numbers demonstrate a rise in drug use in the UK, most users claim that they don’t have a problem. Interestingly, about 7% of those who use drugs are convinced they don’t have a drug addiction problem. Meanwhile, about 13% (an equivalent of 2 million people) are willing to own up to their actions. They can claim the need of help with their addiction. Additionally, it is the male population that is more susceptible to develop a drug habit. However, this does not mean that women should not be wary of the consequences of taking addictive substances. Also, young users between the ages of 16 and 35 seem to have no problem admitting they struggle with addiction. How Often do Britons use Illegal Drugs? Drug addiction can start at a pub, on a playground, at a party or even at school from peer pressure. Most young adults start using illegal substances out of curiosity and find different ways to experiment with forbidden substances. However, most people find it hard to quit after their experimental phase and end up as avid users. About 750,000—23% of Britons uses drugs daily, 15% weekly, 7% monthly, and 55% less than once a month. Furthermore, about 84% of active users admitted to taking drugs at a friend’s house. Meanwhile, 16% claimed they usually consume their dose at a nightclub or bar. Interestingly, however, drug users between the ages of 16 and 24 said they usually take drugs at home. These are staggering numbers that show just how huge of a problem drug addition is in the UK. Problems with drug addiction in the UK are quite similar to many western nations. About 82% of avid drug users in the UK took Marijuana as their very first illegal substance. Meanwhile, 2% of the population took Ecstasy, Cocaine, LSD and Magic Mushrooms. Additionally, most drug users have tried fewer than 2.5 different illegal drugs, with men taking the lead. Also, it is also the male population that is more likely to have tried hallucinogens. They include the likes of LSD and magic mushrooms, and hard drugs such as crack. How do Britons Attain Their Illegal Drugs? Today, drugs aren’t hard to attain. You can feed your drug addiction problems rather easily. For example, one can purchase them online in their homes on the dark market. Interestingly, even though it is the most convenient way to order drugs, only about 2% admits to purchasing drugs online. While the other 98% said they never tried this method. Or you can go out and get it from a dealer on the street. About 65% of Britons have someone else buy drugs for them. In most cases, it is a close friend. Approximately 25% of users buy the drugs from a dealer they know. While only about 10% buy from dealers that they do not know. Additionally, about 10% of users also admitted having sold drugs for profit, while the rest (90%) said they did not. How Much do Britons Spend on Drugs? Many factors can decide if your drug addiction problem is an expensive one. 39% of current users of illegal substances in the UK claim they do not pay a dime for their drugs. 31% of users claim they spend up to £40 a month. While the rest spend between £50-100 a month. Another interesting fact is that about 39% of Britons believe certain illegal drugs ought to be legalized in the UK. On the other hand, 61% is against this idea. Surprisingly, the number one drug which should be legalized according to 31% of the population isn’t Marijuana but Magic Mushrooms. LSD ranks at No.2, while Ecstasy and Cocaine at No.3. The rising number of illegal substance users in the UK poses a serious problem for the nation. As more and more people fall victim to drug addiction, predicaments of various types rises. They can include health problems, road accidents, overdose, homelessness, coma and untimely demise. Drug addiction has no benefits. What is more, it is an entirely ruinous habit that affects not only the user but their community as well. In conclusion, Britons are well aware of this problem and are taking drastic measures to mitigate the situation. They do this by providing free drug counseling, rehab and detox treatment for all who are willing to seek help in this matter.